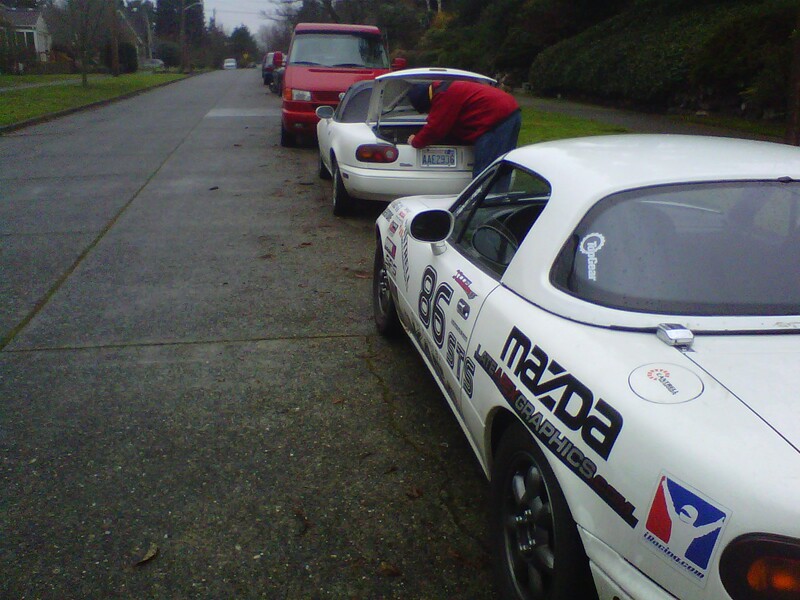 I spent some time with another Miata owner yesterday morning over coffee. Steve Schaeffer has done some instruction at the Nurburgring, and some teaching at some of the local performance schools in the area. We had planned to get together and get some coffee, but the shops were so full that we ended up taking a walk around the local neighborhood. It was super refreshing to chat with an experienced driver about how to teach driving technique to other people. I have been interested in becoming an instructor myself, although I know I need alot more seat time first. Plus, it was super nice to just walk around the neighborhood and learn new things about housing… and other local Greenlake folklore. After a bit of a walk/chat, Steve took some time behind the wheel of Kyoko. I think he really liked it, and I enjoyed getting a chance to watch a good driver up close. 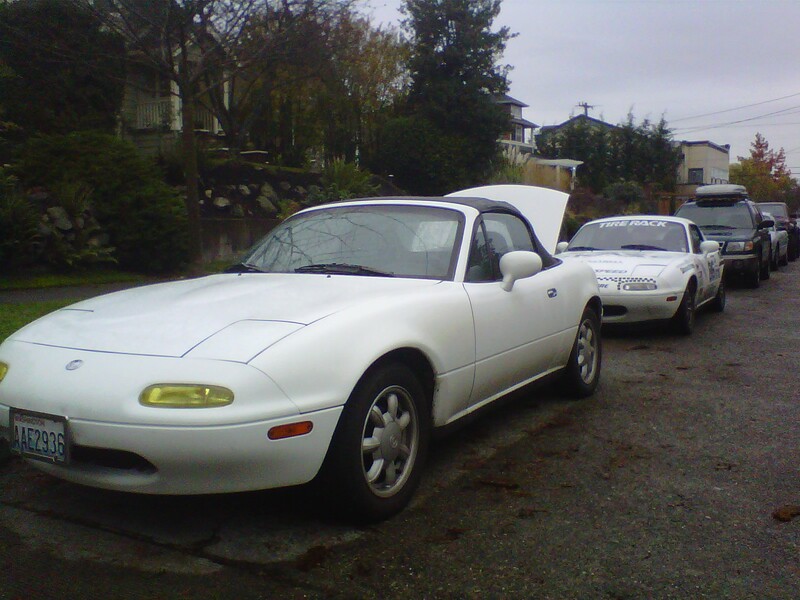 This entry was posted in Daily Driver Projects and tagged Miata!, Nurburgring, Project Kyoko. Bookmark the permalink.